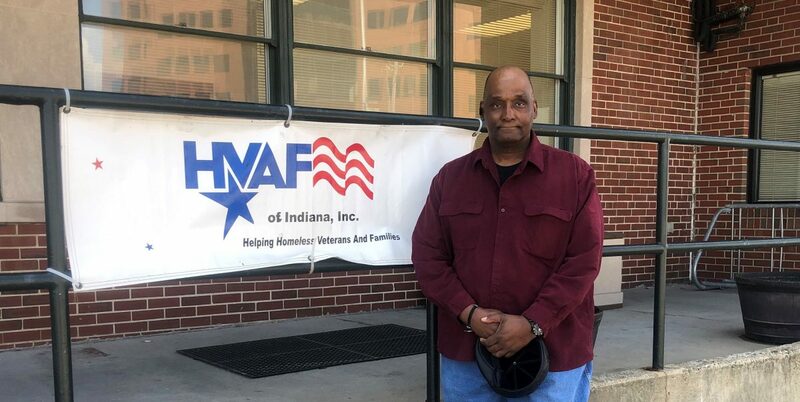 How HVAF helped Marine veteran overcome addiction | HVAF of Indiana, Inc. In 1968, Troy Rivers enlisted in the United States Marine Corps and served for four years. When he got out of the military, he said he had zero guidance. This led him to getting mixed up with the wrong crowd. Several times throughout the years he sought out help… but found himself back to abusing substances. In 2007, Troy came to HVAF and participated in REST: a former program at HVAF that helped veterans overcome addiction. “It changed my life,” Troy said. After 9 months, Troy graduated from REST. He said during that time, it gave him time to get off of the streets, to think, to consider principles he could incorporate into his life, and to develop a relationship with the Lord. “That relationship was the foundation of my new beginning of a drug-free life,” Troy said. As he finished the program, a HVAF case manager helped him to receive housing. And during that time, he began volunteer work at the VA Hospital. This led him to gaining full-time employment there, and still works there today. Sadly, during this same time, Troy’s wife passed away. While this was a very hard time for him, looking back, he realized he did not have any desire to use drugs for the pain he experienced. He said that was when he knew the Lord had delivered him from his former addiction. Troy thanks HVAF and many other people who have helped him along his journey to a drug-free life.